Review : Blooming Bath | escaped. So prior to Rafiy’s birth, I’ve been looking for baby stuff, ones we haven’t had yet during Rayyan’s time – simply because well, being the first time parents, we weren’t educated much in the department haha. This time being our second experience, I realize we still have a lot of ground to cover – and not having my mom around during pantang taught me to always be prepared with baby gears to help me transition into confinement smoothly. One of the baby gears I’ve looked forward to have, is Blooming Bath. So I knew, one of the biggest chore for me would be bathing the baby. Bathing him while squatting on the bathroom is a major risk for my back, so I knew I’d have to shower him standing up, hence using the sink bowl is the only option. 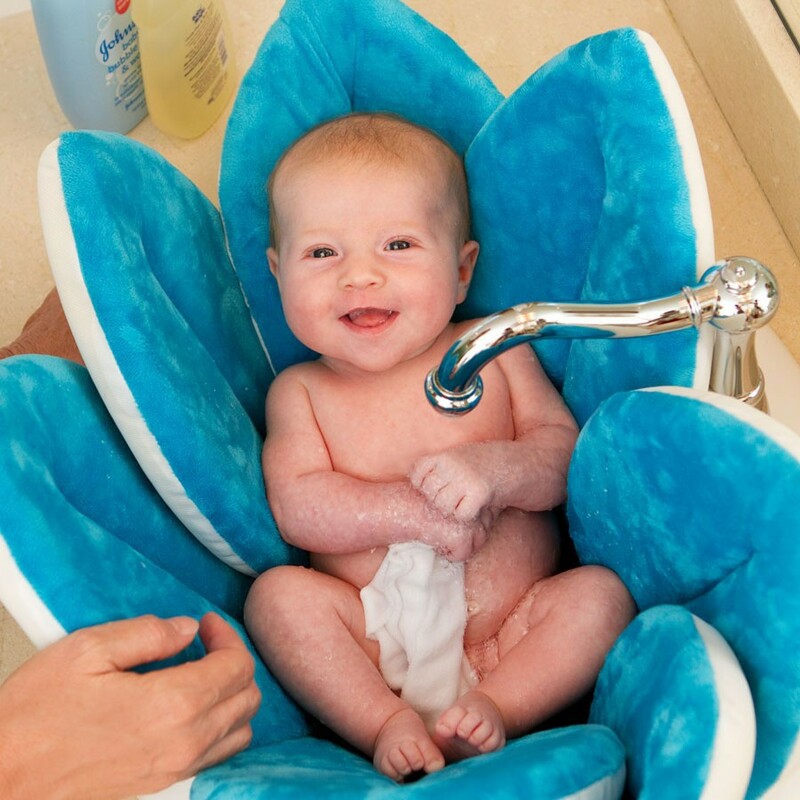 It doesn’t requires a baby bath tub, and it’s best meant for bathing baby in the sink bowl because of its flower shape – the flower petals would rest on the sink and the baby would sit comfortably in it, padded by the petals. And it comes in so many great colors, I went gaga just looking at the pictures! So playing it safe, I went online to see if we could rent it first, try it to see if we like it before actually spending that much money on an age-specific baby item. Found @babyjimbos on Instagram which rents out baby stuff i.e. strollers, baby bouncer, etc. Founded by the blogger Shazwani Hamid, so if you’re a regular of her blog, you’d know how prepared she is in welcoming her firstborn and how much of an OCD she is. Found out she rents out Blooming Bath too, at RM50 charge per month. :O So I took the plunge to try it out for one whole month before making mind up on buying. OK. I’m glad I decided to try it out first because the verdict is, I’m not spending my bucks on the Blooming Bath. Reason? That’s it for the cons, but it DOES make me re-evaluate my whole decision on buying. In the end, I just decided we’re better off without it – it may make Rafiy’s bathtime experience something to look forward to, but the hassle of drying it out is just not worth it, especially when you have a newborn to spend your energy on. Having that said, I won't mind if anyone wants to give it to me as a gift. Just saying.